If any dog shall, without provocation, bite or injure any person who is at the time at a place where he has a legal right to be, the owner of such dog shall be liable in damages to the person so bitten or injured, but such liability shall arise only when the person so bitten or injured is upon property owned or controlled by the owner of such dog at the time such bite or injury occurs or when such person has been immediately prior to such time on such property and has been pursued therefrom by such dog. Therefore, pursuant to Alabama’s Dog Bite Statute, a dog owner will be liable for injuries when a victim suffers injuries as a result of the dog on the dog owner’s property or, if the victim is pursued by the dog off of the dog owner’s property. This is a strict liability statute and therefore, knowledge of vicious propensities is not a prerequisite for liability to attach. It is important to note though, that in order for the dog owner to be strictly liable under the statute, the person must be both the owner of the dog and the owner of the property where either the dog attack occurred or where the dog began pursuit of the victim. 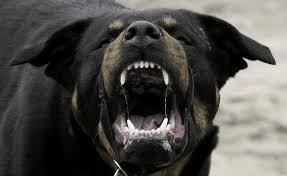 Additionally, the dog attack must have occurred without any provocation by the victim. It is also important to remember that Alabama’s Dog Bite Statute has a mitigation provision contained in Alabama Code § 3-6-3, which provides that if the dog owner shows that he or she “had no knowledge of any circumstances indicating such dog to be or to have been vicious or dangerous or mischievous” then the dog owner will only be liable for the actual expenses incurred by the victim. This mitigation provision would prevent the victim from making any argument for pain and suffering associated with the dog attack. However, as discussed in more detail below, there are ways to show that the dog owner was, or should have been, on notice of their dog’s vicious propensities. Alabama is often referred to as a “one-bite” state and while that is true, it can be a tad misleading. There is no distinction between Alabama’s “one-bite” rule and Alabama’s general negligence principles. In order for a dog owner to be liable in Alabama for a dog attack, other than pursuing an action under Alabama’s Dog Bite Statute, the victim is required to prove scienter or that the dog owner had knowledge of, or reason to know of, the dog’s vicious or dangerous propensities. This is often referred to as “propensity” evidence and essentially means that the victim must show that the dog owner was on notice of the dog’s tendencies. The first of which, and most well-known, is evidence that the particular dog involved in the case has bitten before. That is where Alabama’s “one-bite” rule comes into play. Alabama Courts have held that with the exception of certain dog breeds that have inherently vicious propensities, dogs are given one “free” bite. It works in much the same way the mitigation argument under Alabama’s Dog Bite Statute mentioned above works. However, under a common law negligence cause of action, if you are unable to prove that the owner knew of the dog’s vicious propensities, then you will likely be unable to recover. But, after the dog bites once, the dog owner is automatically on notice of the dog’s vicious propensities and will be liable if the dog attacks again. Another way to offer propensity evidence to prove that the dog owner was on notice of the dog’s vicious propensities is through the dog’s breed. Throughout the years, Alabama courts have held that certain dog breeds, primarily Pit-bulls and Pit-bull mixes, are inherently vicious and therefore the dog owner is automatically on notice of the dog’s vicious propensity regardless of whether the dog has attacked before. Notice of the dog’s vicious propensities, whether through prior attack or the dog’s breed, is the hallmark to attaching liability in a dog bite case. It is important to note that “propensity evidence” encompasses any evidence which shows that the owner of the dog knew or should have known that the dog would act in a certain way and is not limited to evidence only showing that a dog would act in an aggressive or vicious manner. For example, it is well-known that Labrador Retriever puppies have a propensity to jump on guests when they enter the owner’s home. Therefore, if you go to a friend’s house, and their Labrador Retriever puppy greets you by jumping on you, causing you to fall and break your hip, the “propensity evidence” can be used to prove that the dog owner knew that the dog would act in that manner. Injuries that are sustained as the result of a dog attack can be nuanced and require experienced attorneys. Therefore if you or a loved one has been injured or killed in a dog-bite incident, please call the Alabama dog bite attorneys at Hollis, Wright, Clay and Vail, P.C. You can contact us here, or call 205.324.3600 or 1.844.LAW.TALK for a FREE consultation. We handle cases on a contingency fee basis, meaning our attorneys only get paid if they recover money on your behalf.